Zinc is widely used in galvanization, which is the process of applying a protective zinc coating to iron or steel to prevent rust. It’s also used as an alloy with brass. For the most accurate pricing, your zinc will be examined by the scrap yard. However, pure zinc will get you the best pricing. Secondary zinc production uses 76% less energy than primary. The metal recycling industry works efficiently by numerous small companies purchasing scrap material and feeding it to highly effective larger international businesses. Non-ferrous metal recycling involves sorting, baling, shearing, media separation and melting. If you produce zinc scrap through your industrial, commercial, or demolition business, contact the experts at Tombarello and Sons Inc. to evaluate your situation. Not only will we help identify what you have, but we will be able to provide you with current pricing for the collection and sale of your non-ferrous materials. Tombarello and Sons Inc. is a full-service scrap metal recycling company that purchases large quantities of scrap from businesses throughout Massachusetts, New Hampshire, Rhode Island and Maine. We provide you a cost-effective way to recycle zinc. We will help you optimize your material preparation, maximize container placement and coordinate pick-up schedules at your location. Let your zinc scrap go to work for you. 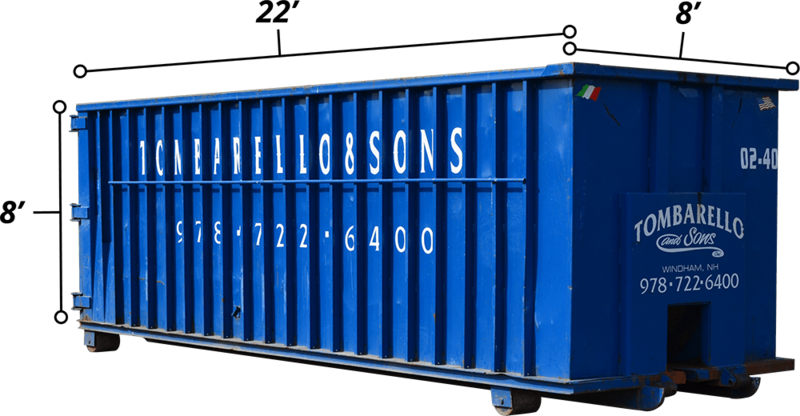 Tombarello and Sons Inc. has the perfect size and ideal container for the job. Call Tombarello and Sons Inc. at 978-722-6400 to recycle your zinc today, including full service roll off dumpster rental, delivery and pick up service.